Seventeen year old Rose Goldman is highly unpopular in the little town of Halfway. Ever since the 'attack' when she was a girl, people and animals have been afraid of her. However, life takes a turn when a new teacher starts at Halfway High. Mr. Stone, the quirky and charismatic English teacher is twice Rose's age, but she feels an unexplainable pull towards him from day one. Despite her better judgement, Rose pursues a friendship with Mr. Stone, who seems unable to stay away from her. Warning: Reader discretion is advised. This novel contains material that may be offensive to some readers. Not a Young Adult book. Not Erotica. I was strangely drawn to this book; I love werewolves and have yet to read anything shelved under New Adult but the taboo Student / Teacher relationship was definitely a concern. Curiosity eventually got the best of me and I just couldn’t resist anymore. And then, I simply could not look away. This novel did a train wreck number on my emotions; the logical side of me kept shaking her head saying no-no-no while as my wicked side was screaming YES-YES-YES! Alpha Girl blew my freaking mind! The werewolf aspects of this story were awesome. I loved that Rose and Tom are drawn to each other because of how they smell. Their attraction is on such a primal level that it wasn’t as shocking when it eventually trumps everything. At first, I didn’t think of Rose as an alpha because she’s shy and quiet but as the story progresses her dominance really comes out, especially around Stone. Goldman also has to shift on every full moon and it’s not the typical type of transformation found in most werewolf books which I found refreshing. The ending promised even more furry goodness is to come in Lone Girl. I liked the running countdown that Bloomfield has at the beginning of each chapter. It didn’t take me long to puzzle it out but once I did, it made me love this book even more. Kate’s writing flows nicely which makes Alpha Girl ‘s 212 pages fly by way too fast. I’m typically not a fan of authors who throw a young main character’s parents under the bus but in this case I think it suited the story. I definitely had no qualms about hating them. Rose’s parents brainwashed her into believing that the W-word is a disease and also the cause of their divorce, not to mention that they lock her up in the basement during her “time of the month”. Rose and Stone’s relationship made me hate myself for wanting to turn the page. I loved that she pursued him aggressively and that he put up a valiant effort to dissuade her. At times I thought that Tom was a real creep but at others I couldn’t help but feel sorry for him. There are also glimpses of Fifty in their student / teacher relationship. Stone gives Goldman detention to re-claim his alpha role at school and she kowtows by calling him sir. Like I said, a train-wreck. There’s way more to this book than either the blurb or my review can, in good conscience, share. The main plot revolves around so much more than just Kate and Stone’s forbidden love; the whole comes together in a beautiful yet utterly shocking way. 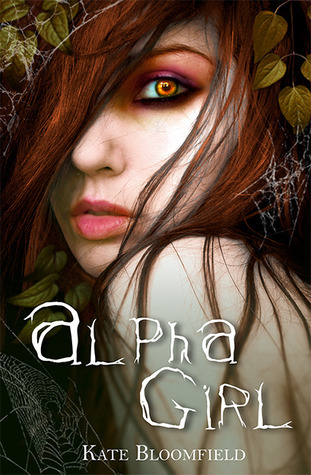 Once you start reading Alpha Girl you will not be able to look away. I am glad you enjoyed it, but really not a book for me. It’s definitely not for everyone. When I first picked it up I thought I’d hate it. I’m glad you enjoyed this so much! It’s only 2.99 at Amazon, so I went ahead and ordered it. I only have 3 or 4 review books to read and then I’m starting this one. Haha why am I not surprised!? :p And you can’t go wrong with a cheap Kindle book! Thanks! 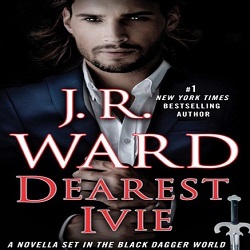 I love five paws reviews, the only drawback is the my TBR of books that will be move to my TBL is already out of control…LOL, but I might have to go ahead and read this one, I like what I hear from you. Unfortunately it’s not available in audio for ya either. I hope you like it (I’m sure I’ll hear about it if ya don’t)! Wow this sounds good and I love how it tore you in half. I like that she was aggressive and that it had taboo elements! The cover really draws you in, i so added it to my Amazon wishlist! This book definitely isn’t your average read; I think that’s one of the reasons why I liked it so much! I picked this one up when I read the blurb and when I saw that you gave it a 5, I wanted to start it. I read it in less than a day, I think. I, too, LOVED it! It did kind of creep me out a bit, but I wouldn’t even have thought about his age except that she for how she kept referring to him and bringing up his age. Lol. I really disliked her parents also. If my daughter was attacked at the age that she was, I would do WHATEVER I could to help her deal and always be there for her. I didn’t really think about the Alpha aspect until it was brought up. Great review!! Thanks for an amazing review! I hope everyone likes it. I really wanted Alpha Girl to be controversial, unnerving, and stressing. And I do understand that the romance might freak some people out! I’ve even been accused of being a male pervert, (100% female, last time I checked!) because of the content. The reader thought there was NO WAY I could be a girl.